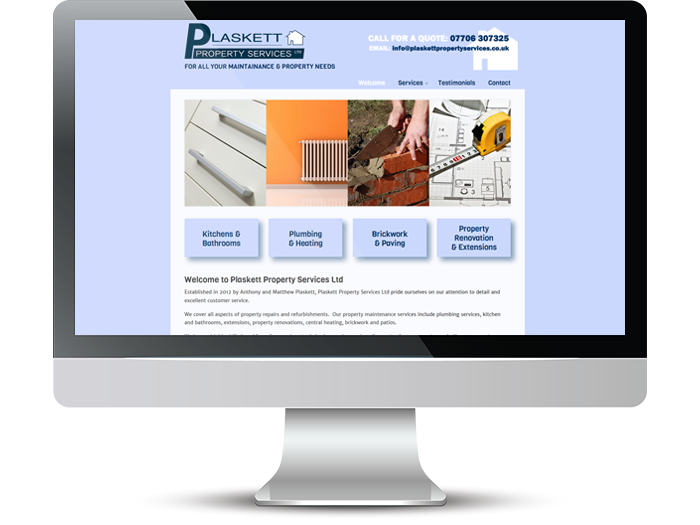 Plaskett Property Services wanted a website which gave them an online presence. They wanted a platform to briefly describe the services they can offer, include testimonials from previous clients and most importantly prominently include their contact details. The website was developed using their existing logo as a starting point.